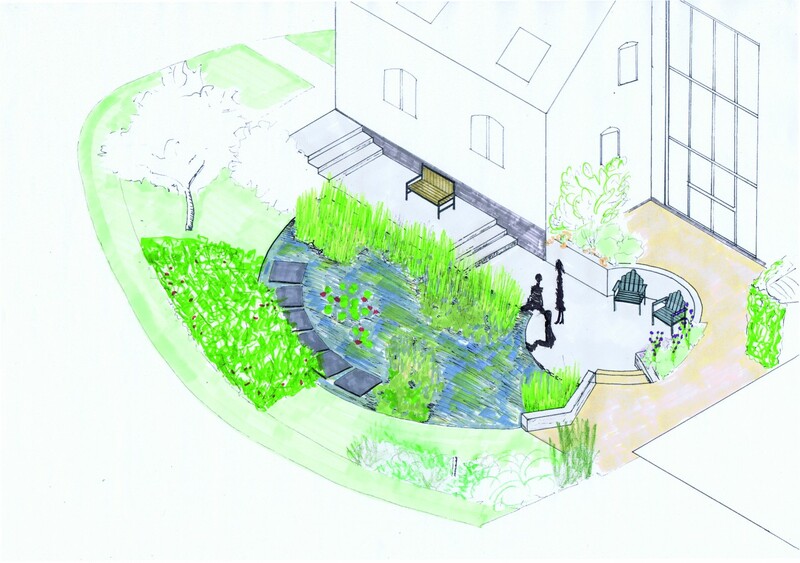 This design was complicated by an existing pond, fed by a natural spring and rainwater from the adjoining school buildings. The new garden was designed around the pond and the natural desire to be close to water. We built in a lower decking area for seating and then added stepping stones to create a journey around and across the water.